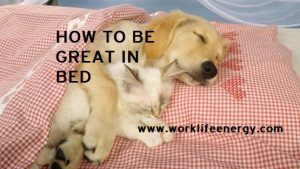 Work-Life Recharge 41: Here’s How to be Great in Bed! 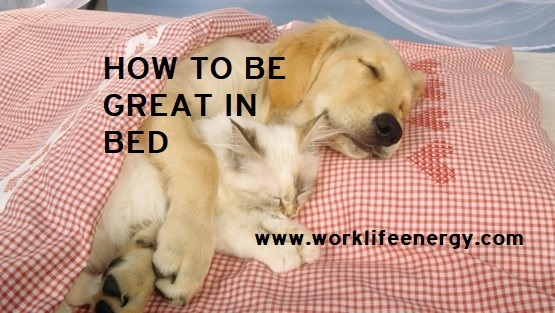 How good are you in bed? And by that I mean, how well do you sleep and how refreshed are you when you wake up? As far as I’m concerned, sleep is the most underrated health practice that we all need to embrace…for health, confidence, clarity, problem solving and just overall peace of mind. The final installment of this Wellness Wake-Up Call is about waking up to better sleep habits. And, if you’re not prioritizing sleep, this segment is for you. In this Work-Life Recharge I have a conversation with friend and Sleep Expert, Dr. Chris Carruthers about the 4 fundamentals of great sleep, its benefits to our health, and a wake-up call we all need to have around sleep. Wait until you hear what she has to say about that. Watch the video below, or read the transcript that follows, and get your zzz’s please! 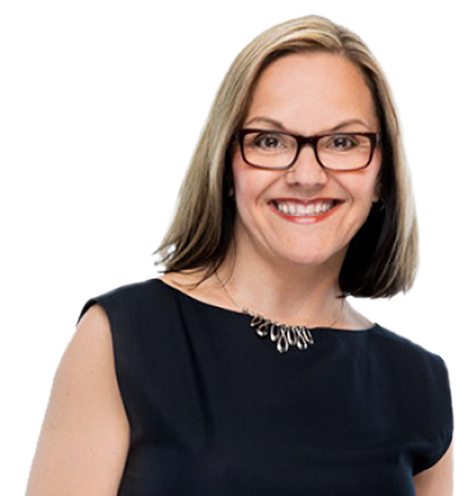 Hey, Michelle Cederberg here with your weekly Work-Life Recharge and the final installment of my wellness wakeup call. I’m here today having a conversation with sleep expert, Dr. Chris Carruthers on location in beautiful Shades of Sleep in Calgary. Welcome! Michelle: It’s true that sleep is probably one of the most underrated health practices that most of us need to embrace, so I want to cut right to the chase. What is a wellness wake-up call that people need around sleep? Chris: Listen. People don’t understand, sleep is a daytime problem. Chris: It’s a daytime problem. What you do during the day is going to affect the quality, quantity, and timing of your sleep at night. So let’s pay attention during the day. Michelle: So like what kinds of things during the day? Chris: You know what, we need light and dark at certain times of the days. In the morning, throw your blinds open, let the light fall in. That’s going to cause Cortisol to surge in the body, get you raring to go. Don’t use the snooze button first thing. Don’t go back to bed. Don’t fall into the light stage of sleep. When you wake up, you’re gonna feel some sleep inertia, it feels lousy. Michelle: All those things. Let’s cut down to simplicity here. What are the fundamentals of good sleep that people need to know? Chris: Listen, there’s four to think about. Your sleep environment, check out the environment here Michelle. Michelle: Oh my gosh, great linens! Chris: Your sleep environment is everything. Cool, dark, quiet. Dark, dark, dark, dark. Michelle: Yeah, that’s important because your body releases melatonin. Serotonin? Which one is it? Michelle: So if you have a little bit of light creeping in, it’s a problem. What’s the second fundamental? Chris: The second is to think about how you think about sleep. Michelle: How you think about sleep? I hadn’t thought about that. Chris: Totally. If you expect to sleep poorly at night, you’re probably going to sleep poorly. Michelle: That all impacts what you do. So how do you change that? Chris: Just decide to think differently, say “no matter what wakes me up tonight, I have the ability to get back to sleep quickly and I’m going to feel great tomorrow.” Talk to yourself about that. Michelle: The way you think about sleep. What’s the third fundamental? Michelle: Everything that’s going to help you have a… How much does digital play into that? Chris: Oh my goodness, remember you talked about the sliver of light? Chris: Light falling on your brain from your I-phone, or your computer late at night, says “wake up wake up.” Melatonin? Chris: Not time for Melatonin, right? So, if you want Melatonin to gently surge, and get you ready for the darkness, electronics have to be off. Michelle: So, TV, iPads, phones… There’s only two things that should happen in the bedroom, and digital and television are not among those things. Michelle: Ok, and what’s the fourth fundamental? Chris: Ok, listen, there’s skills you can learn to fall back to sleep no matter what wakes you up. Chris: You’ve got that monkey mind maybe? Chris: Instead of thinking about your to-do list. It just distracts that monkey mind, very easy to do. Another skill is that body scan, very easy to learn to relax the body, and be aware of the body, just get out of your left brain. Michelle: And what I’m hearing when you’re saying that is that if you’re focusing on those things, you’re not focusing on the fact that you’re not sleeping or that you’re going to be so tired. Michelle: Four fundamentals. Ok, so if we do get better sleep, what’s the benefits for our health? Michelle: Better sleep, better weight management? Michelle: So if we’re tired, we make poor decisions. Chris: Learning and memory. Ever have that brain fog? Chris: Safety, accidents, sleep is important to that. Michelle: And it seems sort of obvious but we tend to put sleep aside to get everything done during the day so if we’re still not convinced that good sleep is an important thing, what’s the one thing that you could tell people? Chris: Ok, here’s what I want you to know. The research is diserging. You know what happens during certain stages of sleep? Deep sleep? It’s kind of like the dishwasher in our brain. Alright, so a lot of things happen metabolically during the night. In the nighttime, the channels in our brain open and then it’s like a cleansing system. So, when we’re not sleeping well, we see actual developmental changes in the brain. We need this glymphatic system to be working. It’s like our detox system. Michelle: There’s so much to know. Sleep is so vital to health, and if you have any questions at all, do visit Chriscarruthers.com. She shares on there, “top ten tips to sleep well tonight,” and a whole host of other information that’s going to help you be great in bed. Michelle: So until next time, I’m Michelle Cederberg helping you transform your work and your life, one recharge at a time. And remember, this stuff matters because we all want to be great in bed. Michelle: I just want to have a nap on all of this great stuff. Oh gosh, I’m so relaxed now. So good.